Habitat may look like a rodent cage due to its dimensions. For few seconds, even its shape misleads the observer. 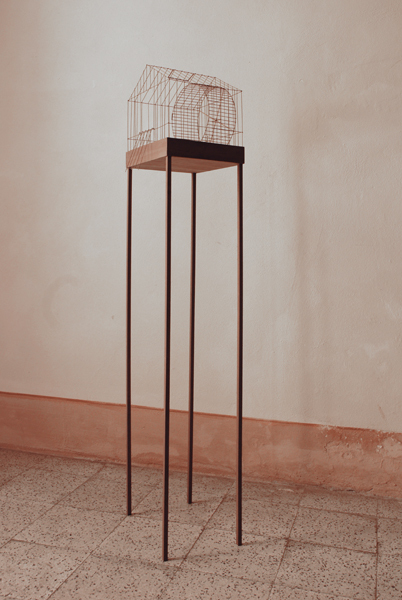 Usually this kind of cages is provided with a small wheel that hamsters use to run. But in this sculpture we are stunned by an apparent disproportion: a strange wheel takes approximately up the half of the space. Also the cage’s material can arouse suspicion: commonly it’s made of iron, apt to prevent the escape of the “small inhabitants”. In this case, however, is built with thin sticks of walnut wood. “Habitat” was conceived on the base of anthropometric measures: it’s a 1:10 scale model, “custom-cut” for a man of average height. The weakness of the bars suggests a voluntary imprisonment, maybe chosen, even if unwittingly. 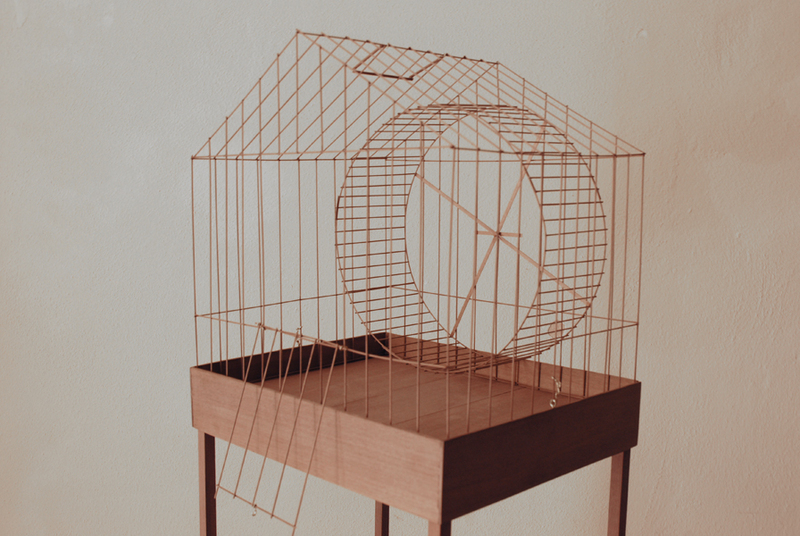 The recreational aspect appears nearly obsessive, exasperated by the sinister emptiness of the cage and by the disproportionate wheel: an animal “game” that becomes an alienation spectrum.